NY BAGEL CAFÉ Franchise: Have You Been Scammed? Have you paid a franchise fee for a NY Bagel Café franchise, and were then unable to get financing or a suitable location? Did Dennis Mason and Joe Smith refuse to return your franchise fee? You may be the victim of fraud. Contact UnhappyFranchisee.Com for help. (UnhappyFranchisee.Com) NY Bagel Café franchise advertisements promise that you can open your own sandwich café for an upfront payment of only $19,500 (sometimes $29,500, sometimes $17,500). NY Bagel Cafe claims they are a successful, up-and-coming new franchise company and will provide “100% financing” for everything other than the initial franchise fee. Alleged victims claim they were promised a full refund by NY Bagel CEO Joseph Smith and salesman Dennis Mason in the unlikely event that they didn’t qualify for financing. Alleged victims tell us that once they paid their $17,500 – $29,500 franchise fee, salesman Dennis Mason gave them a list of very questionable lending sources, and were told that the franchisees – not NY Bagel Café – are responsible to get funding. Some of these questionable lenders simply sign the franchisee up for a bunch of credit cards at interest rates likely to sink any start-up in the low-margin sandwich cafe sector. We have been told by alleged NY Bagel Café franchise victims that Dennis Mason and Joe Smith refused to return their franchise fees, even when they were clearly unable to get financing for the $100,000 – $200,000 investment. Many of these victims are surprised to learn that not only is NY Bagel Café likely violating multiple Federal franchise disclosure laws, but that more than 90% of the NY Bagel Café franchises end up closing their doors within a year or two. 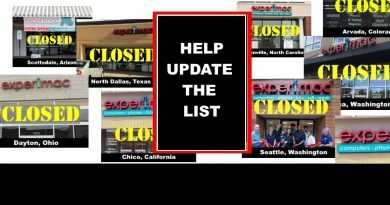 (See NY BAGEL CAFÉ Franchise: How Many Have Closed? [UPDATED] and NY BAGEL CAFÉ Franchise Graveyard). Most NY Bagel Café victims can’t afford to hire a lawyer to get back some, all or none of their money, so they simply just walk away from thousands of hard-earned dollars. Have you paid a franchise fee to NY Bagel Café? We want to hear from you! If you have paid NY Bagel Café a franchise fee and received nothing in return, please contact us immediately by emailing the administrator of this website (confidentially) at UnhappyFranchisee[at]Gmail.Com. Depending on the state you live in and other circumstances, you may be eligible for a refund and/or a cancellation of the agreement. We will assess your individual situation at no cost to you, and provide action steps for helping you file a complaint (if warranted) and a request for a full refund of your franchise fee – even if you failed to meet the criteria for a refund as stated in the franchise agreement. We will also share with you some of the experiences others have had with NY Bagel Café, Dennis Mason and Joseph Smith. Have you had dealings with Dennis Mason & Joseph Smith but didn’t pay them a franchise fee? We want to hear from you also. Email us at UnhappyFranchisee[at]Gmail.Com or leave a comment below. Is NY BAGEL CAFÉ Ocean City MD an Illegal Franchise? Is NY BAGEL CAFÉ Violating Multiple State Franchise Laws? ARE YOU FAMILIAR WITH NY BAGEL FRANCHISE OPPORTUNITY, JOE SMITH OR DENNIS MASON? I do not know how our company got on the list of “approved” financing vendors for this company. We have received several phone calls over the years and never been able to finance any of them or been able to take any of them on as clients. We have never taken a penny from any of these people. yes, i paid franchise fee and i would like to get my 17,500 back. Both Joe and Mason are not trustworsthy . i am so disappointed. I lost all my saving . i am trying to get my money back.